Traditionally voice data travels on the copper wire of a few big telephone companies. VoIP appeared in the home market about 7 years ago and it helps reduce the phone cost dramatically. 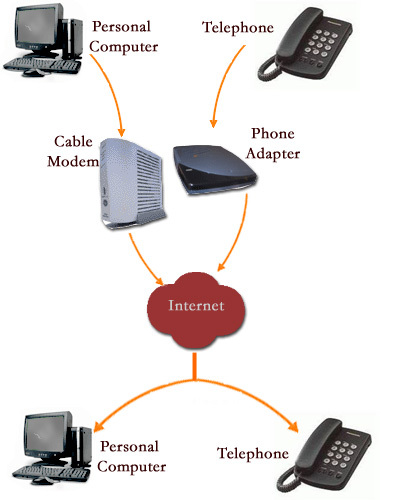 Essentially VoIP allows a broadband Internet connection to be used to make and receive phone calls. Firstly voice is sampled thousands of times each second and converted to digital format. Then it is transfered over the Internet just like the way emails and web page data is transfered. There is the VoIP phone call when this happens in two directions. 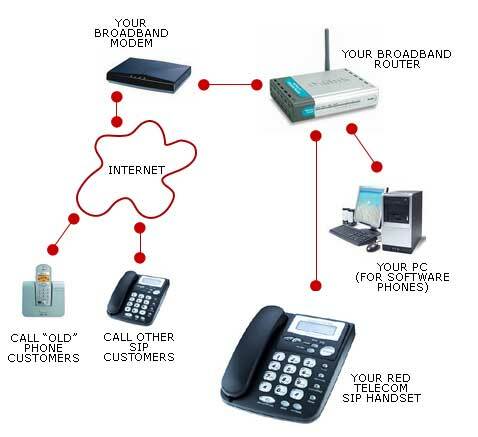 VoIP is not as popular in the earlier days because of the constraint by the slow Internet links. These days as broadband/adsl becomes more and more common the quality and reliability of VoIP calls has improved significantly. Many residential and business users are embracing VoIP to save and improve business bottom line.